On Thursday, not a trace of green. 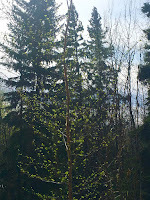 On Friday, all of the Birch trees are starting to bud. 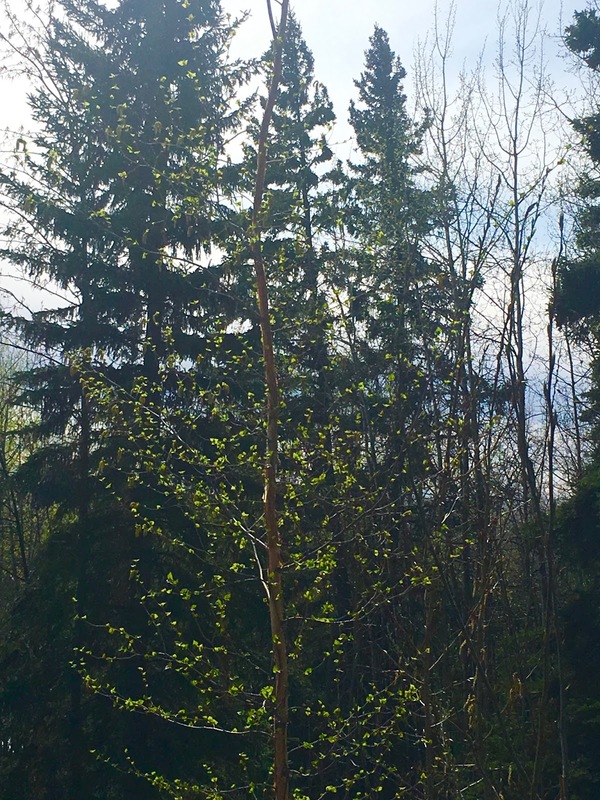 Whole hillsides went from grey to a hint of green overnight. I guess one 73°F day is enough to get the sap flowing again. It was definitely enough to significantly increase the number of bikes on the road. At least until the wind picked up this afternoon. I needed to pick up a router at the university and didn't see a single bike on the road. The router (and me) are headed to Utqiaġvik next week. The wind on Friday afternoon did a great job of keeping the mosquitoes at bay. On Thursday evening, I tried to move the summer wheels and tires for the Prius from the shed to the garage and practically got eaten alive. These are the large, slow ones that wintered over in the mud so they were easily swatted. By the time I moved one wheel, a couple dozen mosquitoes. This afternoon, I didn't see a single one. 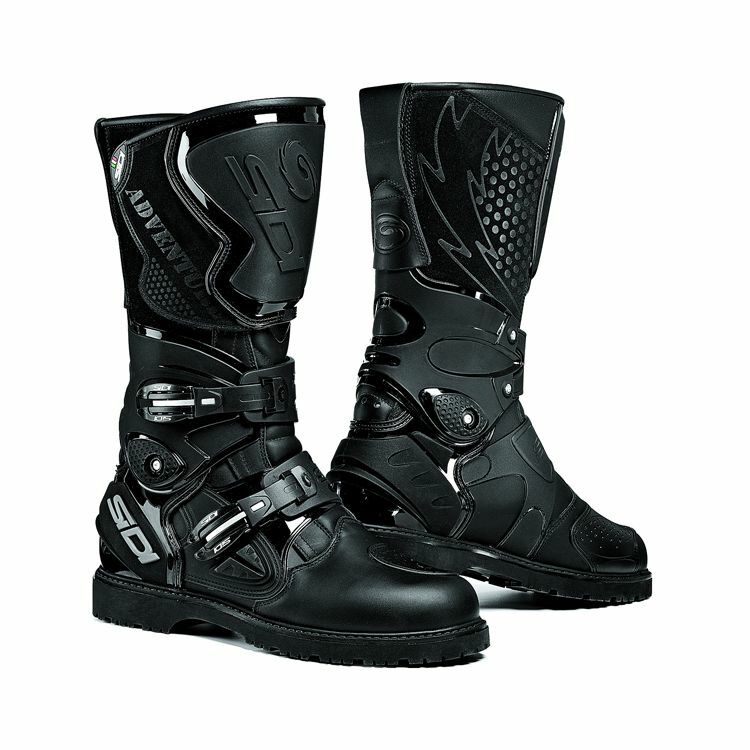 After seeing a comment from DavidR a couple of posts back about Sidi motorcycle boots, I went online to Revilla.com just to look at their selection again. It turns out that the Adventure Rain boots were on sale. I had looked at these while at the motorcycle show in Long Beach but didn't want to pay as much as they were asking. 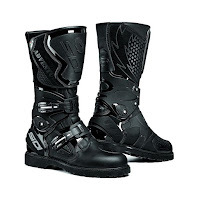 It looks like the Adventure Rain boots are being discontinued and Revzilla had only one size left. My size. And the 30% off made the price seem much more reasonable. I had already tried them on at the show so I knew what size to order. They showed up today. Pretty sturdy and lots of protection and they are supposed to be pretty waterproof right out of the box. After wearing them around the house for a bit, it's obvious that they are not designed for walking. Wow, that much green popped up overnight. 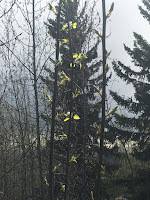 Before long they will be completely leafed out. Glad you are seeing some warmer temperatures. Today, the trees are all full of leaves. Quite a change from only a few days ago. Warmer is okay but hot isn't. Hopefully, we won't have too much hot. I think the boots are going to work good. Ah, the search for a nice pair of boots....glad you found a good deal...those are too tall for me, though mine are falling apart and really are too warm for warmer than snow conditions riding.....sigh. 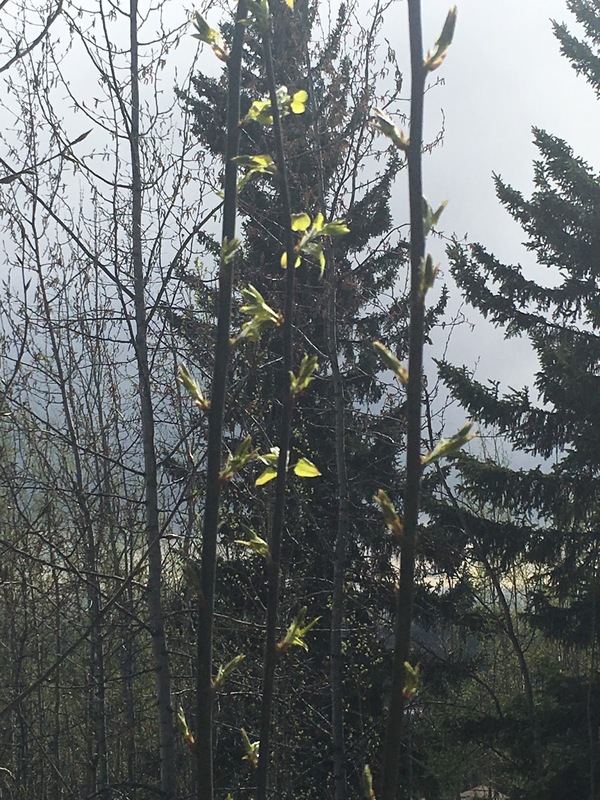 How are the mosquitoes in Fairbanks in July? I was looking for a pair that had decent protection including shin. They do make shifting the Ural kind of difficult. You can't tell when your foot is on the shifter. The seams on the last pair had come undone in several places. Probably from repeatedly getting wet. They seem to breathe pretty well but just about any pair of boots will be warm. The mosquitoes in July are better than May-June at least in numbers. It does depend on where you are. I tried a pair of Sidi Adventure 2 but found them too stiff and hurt the top of my foot. Sent them back. Next a pair of Sidi Armada. Much better. I liked the first Sidi GT Sympatex (bought in 2005), they were comfortable to walk in. The Armada are still a bit stiff but the leather is slowly breaking in. The toe box is much larger and made shifting difficult but evidently I adjusted since I hadn't thought about it until you mentioned it. The Armada has a lot more protection than the GT Sympatex which I wanted. The Adventure Rain were on my list too. A couple of years ago, I thought that the Sidi Adventure line was a bit overkill for what I needed. But they did have some of the features that I think I want such as waterproof, breathable, cleated sole, and the quick release buckles. I prefer the buckles to zippers and most "touring" boots have smooth soles. The actual Gore-Tex versions seem to be really expensive. I was initially skeptical until I tried several of them on. The fit seemed good but really stiff. I don't know if they will ever "break in". I was pleasantly surprised to see them on sale and was doubly surprised that they actually had them in my size. The boots look great for riding, but I wonder if one could also walk in them. Right now, the mosquitoes are the huge, slow ones. Easily swatted. With all of the wet ground around, I suspect that the next batch of smaller, faster ones aren't far behind. Maybe barely outrun them... They're pretty fast around here and they must use radios to call ahead to their buddies as they are waiting for you at the next stop.